Camp for €20,- a night at Campsite Wulfener Hals in low season with CampingCard ACSI. Campsite Wulfener Hals, located in Wulfen (Schleswig-Holstein), is a campsite with 393 touring pitches and 348 year round pitches. With your CampingCard ACSI you can camp on one of the pitches during the following periods: 01-01-2019 - 18-04-2019, 23-04-2019 - 29-05-2019, 12-06-2019 - 29-06-2019 and 31-08-2019 - 23-12-2019. At this campsite you can not only use your CampingCard ACSI for inexpensive camping, you can also use your ACSI Club ID (as an alternative ID). Campsite with an relaxed atmosphere with everything you could possibly want. Natural beaches on the Baltic Sea and Burger Lake, heated pool (supplement) with jacuzzi, own small golf course. 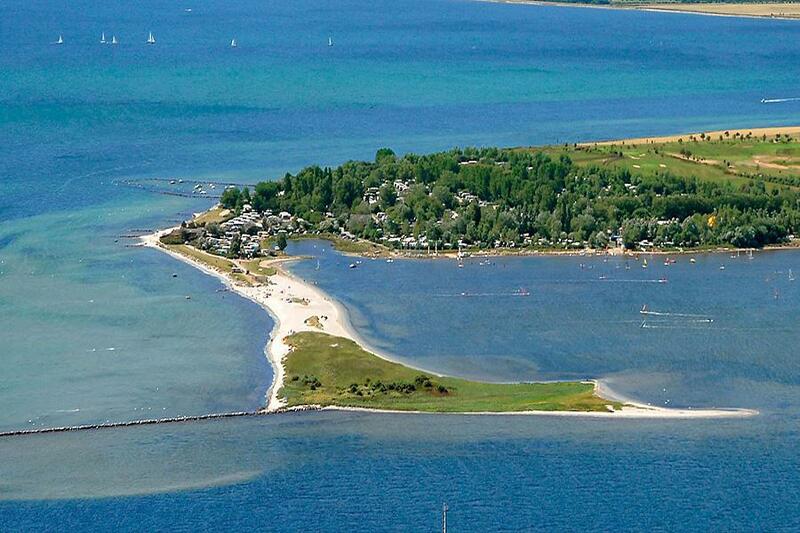 Next to Fehmarn Golf Course (18 holes). Activities and events for all ages with shows and live music. Archery, horse riding, surfing, kite flying, sailing, diving, bike hire. Would you like to book Campsite Wulfener Hals or request more information? You can do both using the information below or by visiting the campsite's website. E47 from northerly direction exit Landkirchen. From south exit Avendorf. Signposted from Avendorf. CampingCard ACSI will send your information request to "Campsite Wulfener Hals".